Observational evidence from all continents and most oceans shows that many natural systems are being affected by regional climate changes, particularly temperature increases (very high confidence). A global assessment of data since 1970 has shown it is likely that anthropogenic warming has had a discernible influence on many physical and biological systems. The IPCC Working Group II Third Assessment found evidence that recent regional climate changes, particularly temperature increases, have already affected physical and biological systems [1.1.1].3 The Fourth Assessment has analysed studies since the Third Assessment showing changes in physical, biological and human systems, mainly from 1970 to 2005, in relation to climate drivers, and has found stronger quantitative evidence [1.3,1.4]. The major focus is on global and regional surface temperature increases [1.2]. 1McCarthy, J.J., O.F. Canziani, N.A. Leary, D.J. Dokken and K.S. 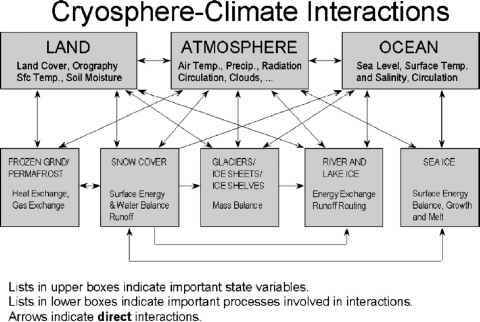 White, Eds., 2001: Climate Change 2001: Impacts, Adaptation, and Vulnerability. Contribution of Working Group II to the Third Assessment Report of the Intergovernmental Panel on Climate Change. Cambridge University Press, Cambridge, UK, 1032 pp. 2'Grey' literature is defined as literature which is not available through traditional commercial publication channels, such as working papers, government reports and theses, which therefore may be difficult to access.